My recent blog post about Lance Armstrong and whether or not he is welcome in obstacle racing has been generating a lot of discussion. In addition to the public commentary happening on the interwebz, I have received many private messages from athletes and race directors, expressing their opinion. The race directors, especially, were sharply divided in whether they’d welcome Lance at their event, with reactions ranging from “come one, come all” to “over my dead body”. Many athletes refrained from expressing their opinions completely – some, I assume, out of indifference, but at least some, out of the fear of backlash. The latter, of course, brings up a whole separate topic – over the past few years, we seemed to have grown our very own social media mob. Some said that his recent win at a local trail race has renewed the discussion of drug testing in sports across the board. 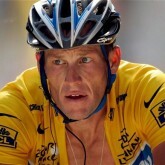 Let’s not forget that we’ve had enough drug testing and sport doping news lately, even without help from Lance. Kenyan marathoners are not that far behind. Whattttt? You mean it’s not all about their amazing slow-twitch everything genetics? Say it ain’t so! Only five years ago the football team at my very own alma mater was suspended for doping. I think they decided not to include it in their alumni magazine. Omgggggg, it’s like everyone is doing it! 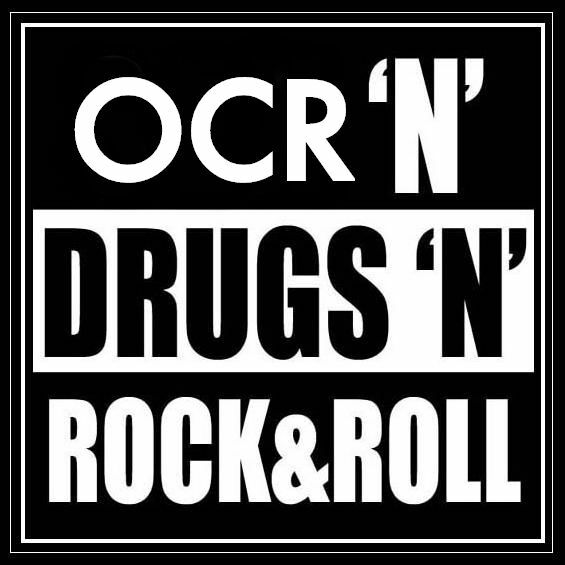 Less than two years ago, to talk about drug testing in OCR was to talk exclusively about OCRWC, the first organization to introduce drug testing to the sport. But… the times they are a-changin’! Here’s a rough timeline of what has transpired in the last few years. September 2013 – Early discussions of the possibility of PEDs use and drug testing in the sport emerge in the community. 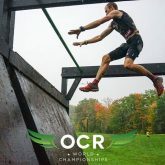 December 2013 – OCRWC publishes an official press release, announcing their first event arriving to the sport in the fall of 2014. The unique features include event’s independence of any existing race series, and the strict qualification criteria. The community is somewhat skeptical. 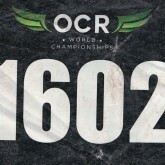 February 2014 – OCRWC causes some waves in the community by becoming the first event in OCR to introduce drug testing and comply with WADA guidelines. September 2014 – Spartan Race World Championship adds “consent to WADA-approved drug testing” to their eligibility rules. 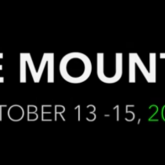 October 2014 – OCRWC tests some of the elite athletes, becoming the first organization in the sport to do so. November 2014 – WTM adds a section on drug testing in the official event rules. Spring 2015 – Toughest, a popular obstacle race series in Scandinavia and Europe, introduces WADA-approved drug testing*. *It is difficult to pinpoint the exact appearance of references to PEDs and drug testing, as most race series add provisions to their consent forms quietly and without fanfare. According to the Toughest website, the drug testing has been introduced sometime in 2015 – I am assuming it was in the beginning of the 2015 season, hence – spring. October 2015 – OCRWC tests all elite podium finishers as well as an undisclosed number of randomly chosen athletes from the remaining waves. 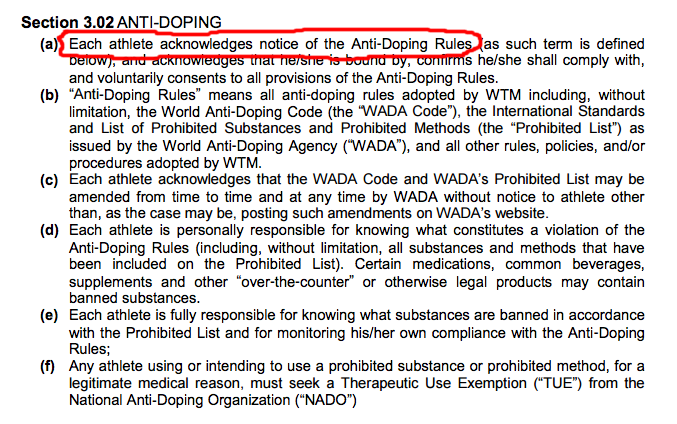 November 2015 – WTM includes an anti-doping section in the official rules. OCRWC and the Toughest are currently the only ones (to my knowledge) to actually TEST their athletes for banned substances. While more and more race organizations are adding the mention of drug testing to their rules, most still sound like an empty threat (and perhaps, an attempt to keep with the times). I expect the evolution of the drug testing procedures to continue in 2016 and beyond, while the WADA-approved drug testing remains the gold standard in the industry. The list is long, and chances are, you have never heard of most of these. Unless you are a pharmacist, or already have a list of favorites and a “dealer”. Ok, maybe you are not too surprised to see this one banned. Both natural and synthetic marijuana are prohibited. If you are Dutch, and have been enjoying legal marijuana for years – a reminder that it can take up to 7 days (based on single use), and up to 100 days (based on regular use) for the substance to completely clear from your body. Canadians, who over the years seem less and less invested in maintaining the illegal status of pot, may already be using the drug for medical reasons. Soooo…. start using a calendar or something. … and other selective estrogen receptop modulators (SERMs) may be used in place of hormone replacement therapy, breast cancer, infertility and bipolar disorder. SERMs, along with everything pro-testosterone and anti-estrogen, are listed under hormone and metabolic regulators. In breast cancer, estrogen is blocked in breast cancer with the goal of preventing and reducing the growth of cancer cells in the breast tissue. In sports, tamoxifen is often used by athletes as part of a post cycle treatment to combat the side effects of steroids, or as an indirect androgen doping strategy (block estrogen → increase endogenous testosterone). The magic of ephedra! Fat loss, appetite suppression. What’s not to like? Ah, yes, tachycardia, nausea, and possible hallucinations. RIGHT. While ephedra (the herb from which the substance is obtained) is regulated by FDA, you can still buy ephedrine over the counter as an oral nasal decongestant. Do ya SMELL the power? And if you are a racer from a country, where all things chemical and medical are less strictly regulated… read the ingredient label. And hope to God, that it lists the actual ingredients. There may be trace amounts of banned substances without your knowledge. [Check out a recent article by Evan Perperis discussing commonly available supplements and possible banned substances they contain]. Instead, look for products certified by NSF – a program designed to minimize the risk that a particular supplement contains banned substances, and that requires the manufacturers to meet stringent criteria for their products. Yep, that’s the stuff in your EpiPen. Epinephrine, aka adrenaline, is detectable in your system for hours. Although something tells me that if you suffer a severe allergic reaction, warranting the use of an EpiPen, you won’t be racing hours later. *Little known fact: While alcohol is prohibited in certain sports like archery and motorcycling, it is still allowed within most sports, including OCR. What a relief. You may continue with traditional pre-race fuel of fermented grapes and/or malted barley. With the cost of testing at $500 per athlete, only the organizations that truly care about drug testing (and about the sport legitimacy) will go the distance. You also probably won’t see drug testing at local mudruns anytime soon. WADA seems to be the regulating body of choice, and because the process is highly standardized, there are no surprises. 1. The race usually uses a combination of target testing and random testing (e.g. all top 10 elite athletes, and a certain number randomly chosen from the rest of the field). 2. The athlete who is asked to undergo a drug test at the finish line is usually accompanied by a testing officer. The athlete remains under constant supervision from the moment he/she is summoned until the procedure is completed and the sample is collected. Most organizations will use urine tests, and those seem to be better than blood tests anyway. Yes, that means that someone literally watched every athlete tested pee in a cup. [This may be a contender for the strangest job in the world]. Oh, and for the extra curious or thorough, there is a detailed 30-page pdf on guidelines for urine sample collection online. [This, along with the earlier report from WADA, will make your bathroom reading educational AND entertaining for days to come]. 3. The athlete provides a list of all drugs, vitamins, minerals and supplements he/she has taken within the last week, reads and signs off on the protocol. 4. The sample is transported to the WADA approved laboratory. 5. The results usually take few weeks, and if the test result is positive, the athlete risks event suspension and/or retroactive adjustment of results. Notice that because there is no unifying governing body, athletes who test positive can only be banned or suspended from a specific event series, not the whole sport. Why introduce drug testing? Is it necessary? Is it reactionary? Is it proactive? In other words, are we trying to address past incidents by introducing policing? Or are we aiming to prevent any possible such instances from happening in the future? What does it mean for the sport? Is that a good or a bad thing? It means that the sport got bigger. It means the sport has gained a certain amount of legitimacy and recognition. 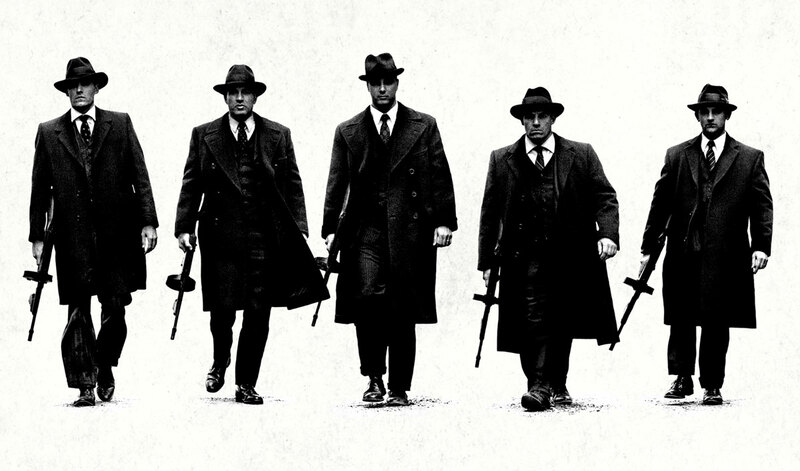 It means there is money on the line. As the stakes get higher (and higher, and higher), the temptation to gain an advantage grows, and so does the potential emergence of performance enhancing drugs in the sport. As any Death racer will tell you, anything that is not forbidden, is allowed. That is the implicit rule of all sports, not just obstacle racing. So… if there is no rule, the athletes will continue stacking the cards in their favour. Of course, you could argue that using performance enhancing drugs goes against the spirit of the sport, but so does wearing a tutu. We’ll need something a little more compelling, I’m afraid. While it would be awesome to rely on basic human goodness alone (oh, how awesome it would be! ), it takes BOTH the individual willingness to cheat AND the environment that allows the cheating to take place. MLB, the oldest major professional sports league, was founded in 1903 and waited until the 2000s (!!!) to formalize their drug testing process and their list of banned substances. I, for one, would not want a Mark McGuire/Sammy Sosa situation on our hands. If you are 100% confident this discussion does not apply to you, carry on. [Think hard]. If you have an illness or a condition that requires you to take particular medications, AND are competitive in the sport, make sure to get a Therapeutic Use Exemption for the substance in question. If you are a contender for podium, AND are using illegal substances banned by WADA, stop. If you are a contender for podium, AND are using legal substances that are nevertheless banned by WADA, start paying attention to your ingredients and your timelines. And now… Cue music —> “Cocaine” by Eric Clapton.